I started skiing just before my 3rd birthday and used to go to the dry slope at Hemel Hempstead for weekend lessons or to the Alps on family holidays. I’ve always loved the mountains and being outdoors, so it was a very easy decision to swap being behind a desk at school for training to be a ski instructor. I love my job! I get a huge buzz from seeing my clients progress and grow in confidence and ability. 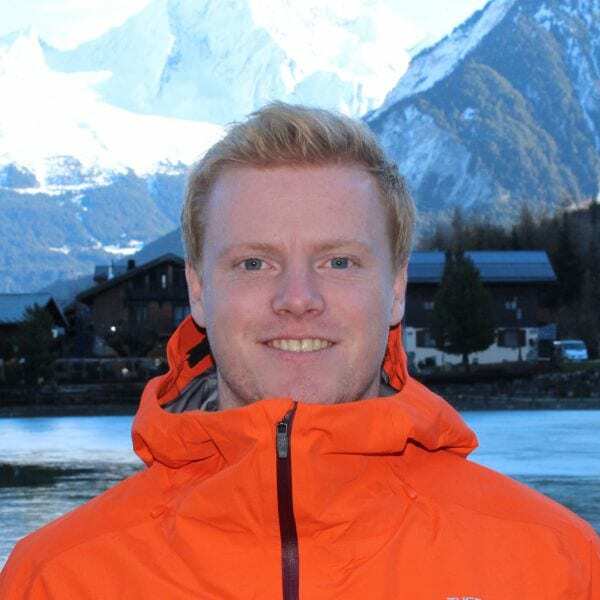 This will be my 7th season – I’ve spent the last two seasons teaching in Les Deux Alpes and I’m looking forward to joining the team in Morzine. I played County level rugby, and still play when I can. I enjoy teaching all abilities and ages – from beginners to those who’ve skied for years but want to improve their technique. A good teacher can transform your skiing, your confidence and really help you get the most out of your holiday and your time on the slopes. Having a laugh at the same time is essential! Don’t be afraid to go for it! Nothing great ever came from doing things at 50%!